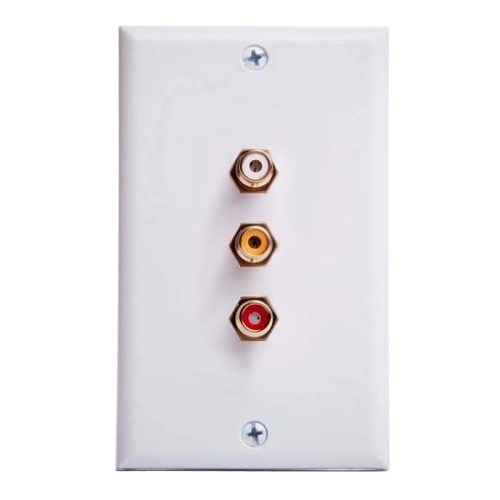 Allows flush mounted connection of RCA Audio/Video plug cables through the wall. Tools Needed: screwdriver, soldering iron. Install an "in the wall bracket" or use an existing wall bracket for mounting. Attach audio or video output wires to wall jack by soldering wires that have been run through the wall to rear terminals of jack. Generally red coated or copper wires are positive and black coated or steel wires are negative. Secure wall plate to mounting bracket using enclosed screws.